EISCAT_3D: Let the Radar School begin! Let the Radar School begin! 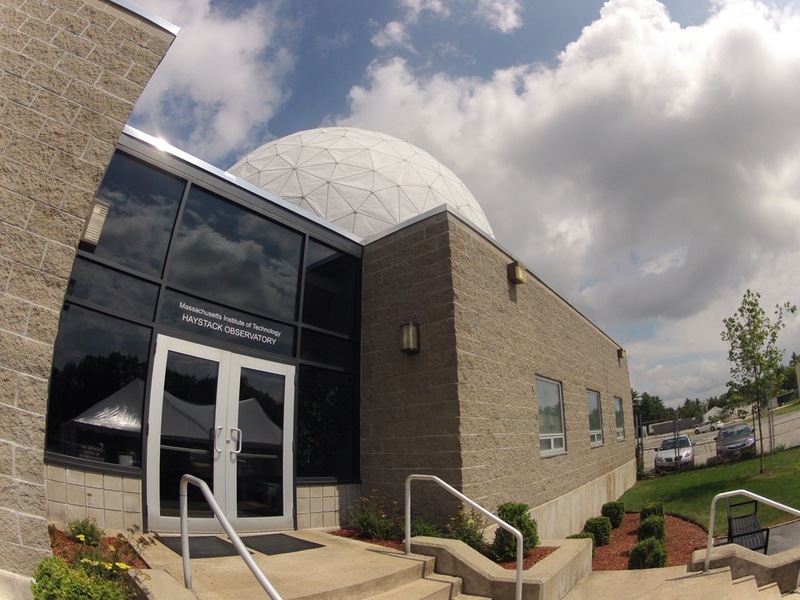 The ISR School at MIT Haystack Observatory is underway, and an enthusiastic group of some 32 students and their instructors will spend the rest of the week in Haystack building in the photo above. Immediately behind the building, one can see that radome of the 37-m antenna, which uses frequencies of up to 100 GHz for imaging near-Earth objects. After the welcoming and other technicalities were sorted out, Elizabeth Kendall opened the school with the first lecture, giving a quick overview of ionospheric physics. Thereafter, Anthea Coster (in the photo above) continued by introducing the group to the Basics of Radar. 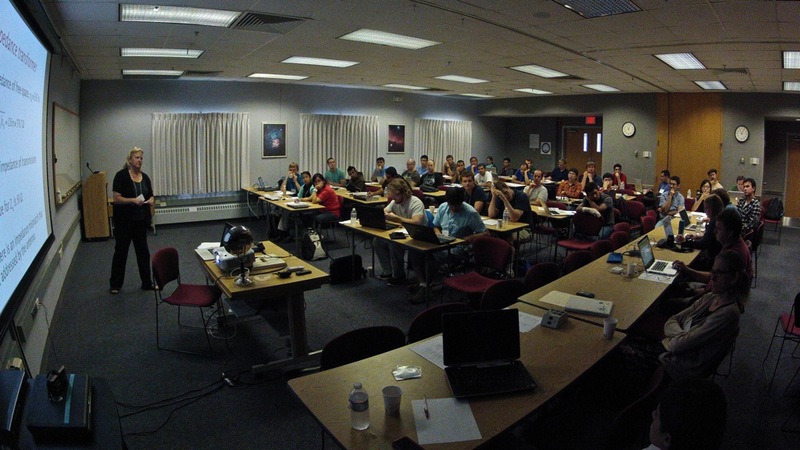 Traditionally, the schools on incoherent scatter radars on both sides of the Atlantic bring together participants with a broad variety of backgrounds from engineering via atmospheric physics to mathematics. At the same time, some of the "students" have already many years of experience in other, related fields, while some others are pursuing their M.Sc. or Ph.D. degrees. Therefore the schools have to provide a level starting point by providing quick overviews of the basic concepts involved, before diving into the depths of incoherent scatter radars. ISR School: Off to Boston!